Rachel Maddow Beats Sean Hannity In March Ratings - Joe.My.God. In March, The Rachel Maddow Show finished as the highest-rated show in cable news, with an average total audience of 3.058 million viewers–the show’s best-ever performance in the 9 p.m. ET hour. FNC’s Hannity was second, with 3.000 million viewers. 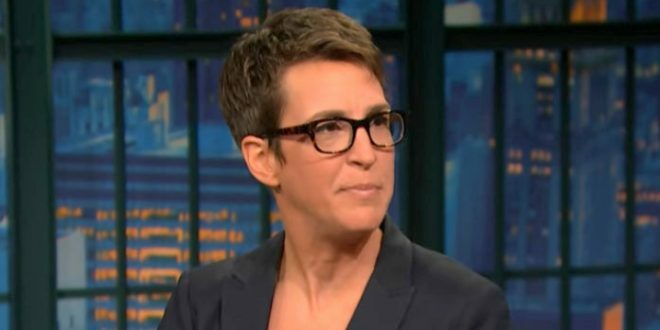 Maddow also won among viewers 25-54, the demographic most valued by advertisers, finishing March with an average audience of 671,000 compared to Hannity’s 616,000. CNN finished a distant third in the hour, with 382,000 viewers 25-54.